Sharjah Airport is located about 13 km away from Sharjah city centre. Sharjah Airport is an international airport serving Sharjah, in the United Arab Emirates. 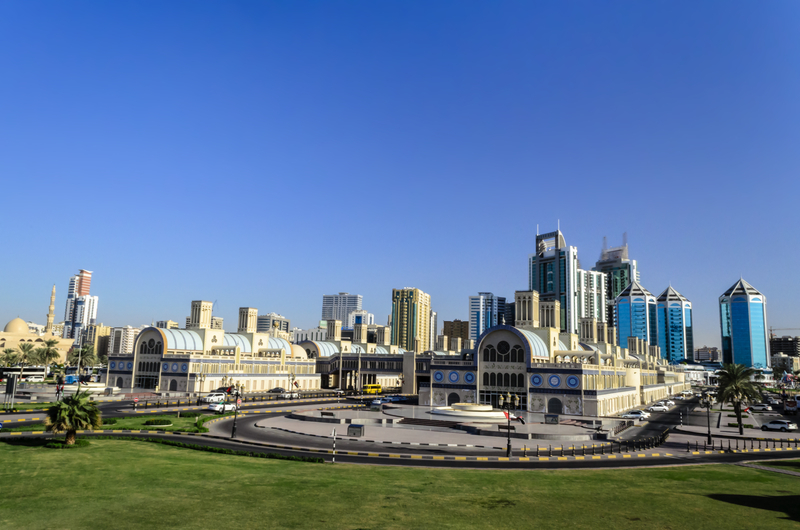 Sharjah is a beautiful colourful city full of must-see attractions worth to visit. You’ll find buses and shuttle services at SHJ Airport going to Sharjah city centre and to many other destinations. Sharjah International Airport (IATA: SHJ; ICAO: OMSJ), is an airport serving Sharjah, in the United Arab Emirates. Concretely, the airport is located about 13 km from Sharjah city centre, and it is the hub for Air Arabia, Singapore Airlines Cargo and Aerovista. 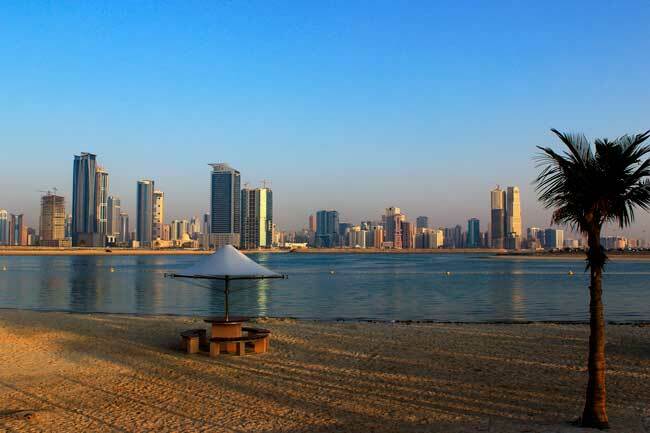 Sharjah isn’t maybe as famous as Dubai or Abu Dhabi, but it is also a UAE gem, and not very touristy (even many people prefer Sharjah than the others more popular cities). 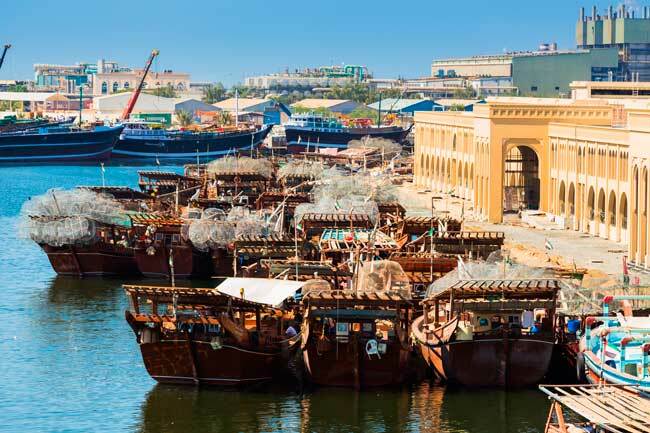 From cultural heritage museums to an amazing and huge souq, Sharjah has a bit of everyting you need to have a unique experience in the United Arab Emirates. In 2015, Sharjah international Airport (SHJ) handled 11,993,887 passengers. 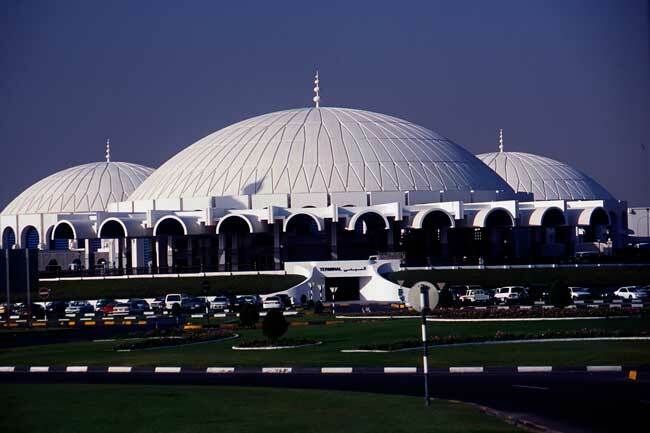 Sharjah International Airport (SHJ) has one unique passenger Terminal building for both domestic and international flights, with many services and facilities. If you are planning a trip to Sharjah we have some recommendations for you: the city is not overcrowded, so you can walk around, and specially in the Corniche, an area next to the water, which has a colourful fountain which plays music every 30 minutes (in the evenings). Sharjah is also famous for having the best Arabic desserts, you’ll find almost everywhere the kunafa (sweet cheese, crispy pastry, pistachios and honey or rose syrup on top), it is worth to travel to Sharjah just for trying it. Bus: you’ll find several public bus lines at the Sharjah International Airport. Car rental: renting a car in Sharjah city is a great idea, find your best option with our search engine. Taxi: you’ll find a wide rank of taxis a the Arrivals area of Sharjah International Airport.